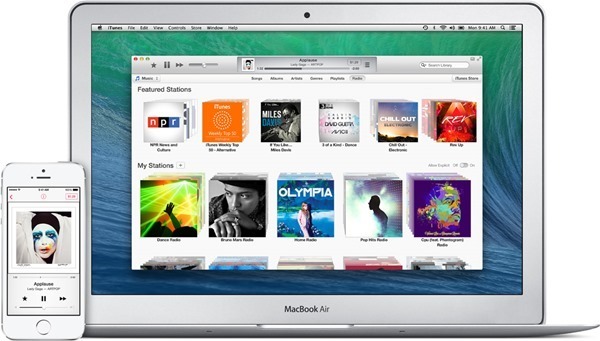 Apple has just made available a new version of iTunes for Mac OS X and Windows, with bug fixes the order of the day. More details on what’s new and where to download it from can be found right here. No new features are believed to be part of this new release, but Apple confirmed via the software’s release notes that it is aimed at fixing a couple of bugs that have been plaguing those who use iTunes as their podcast manager. If you do still use iTunes as your app of choice for subscribing and listening to podcasts then you may want to pay attention to this particular update because it’s been pushed out by Apple in order to correct one big issue that caused some podcasts to not update with new episodes as well as another that simply causes iTunes to become unresponsive when browsing said podcasts. Given the number of times iTunes becomes unresponsive no matter what we’re doing, we’re not sure how Apple managed to fix this particular trigger! Alongside the newly updated iTunes, Apple has also pushed out a new update to its Digital RAW Camera support with new cameras being added to the compatibility list for both iPhoto and Aperture. Cameras from the likes of Nikon, Olympus and Panasonic are included with the full list reading; Nikon COOLPIX P340, Nikon 1 V3, Olympus OM-D E-M10, Olympus STYLUS 1, Panasonic LUMIX DMC-GH4, Sony Alpha ILCE-7S, Sony Alpha ILCE-5000, Sony Alpha ILCE-6000, Sony Alpha SLT-A77 II, and Sony Cyber-shot DSC-RX100 III. Both updates are available via Software Update inside the Mac App Store right now. And if you’re going to install fresh, then simply point your browser to apple.com/itunes and from there you can grab the latest iTunes release. The download is a rather small one, provided you have a decent enough Internet connection at hand. We highly recommend that you go ahead with the update even if you’re not facing any sort of issues currently, because such updates brings with them many performance enhancements to the fold as well. Hopefully, this fixes the issue where Match stops working and freezes.